Lately much has been written about the coming oil crisis. Oil is hovering at a production value of near $100 a barrel, and there are conflicting reports about the size of the reservoirs left for the big Middle Eastern oil exporting countries. The huge consumption of oil by the USA continues, despite the politically-correct ads televised by the oil companies, and upcoming countries like China and India are racing to grab their own share of the oil pie. One area that will be heavily explored to help avert an impending crisis in the near future will be Heavy oil. It's much thicker than the conventional type of oil that gushes out of oil rigs using conventional pumps. 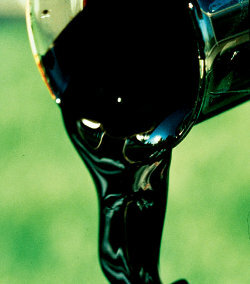 It has more of the consistency of molasses, and so is much harder to pump out of the ground. However, because of the continuing and growing international demand for oil, large-scale pumping operations are now considered to be cost effective. Attention is centered on the Alberta heavy oil fields in Canada, and the heavy oil Orinoco Fields in Venezuela. 90% of heavy oil is found in the Western Hemisphere, with additional fields found in Mexico, California, Brazil, and Alaska. The heavy oil fields in Venezuela are less dense than those in Canada, and so more easily pumped out of the ground. However, many international companies are more interested in doing business in the more politically stable country of Canada, where for the foreseeable future private companies won't have to be concerned about being nationalized by the government. There are several different types of technologies which are being used to extract heavy oil, depending on its consistency and several accessibility factors. Each extraction method is still being improved, and oil companies foresee greater efficiency and lower costs as the market expands. Recently, Canada and the US had a mini-oil-summit, where it was agreed that Canada would soon increase its heavy oil production by fivefold. This means that Canada would be exporting 5 million barrels of oil a day to the US, which would comprise almost half of all US oil imports.